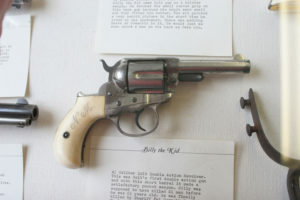 Berryville, Arkansas, located in beautiful Northwest Arkansas, has a unique history unmatched by other towns in this region. 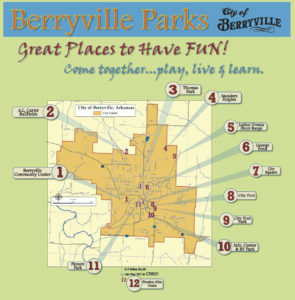 Today, Berryville is a growing town featuring a broad range of business services, manufacturing plants, a thriving agricultural industry, and an expanding retail shopping trade to serve not only Berryville residents, but also those who live within a 30-mile drive to this quaint, expanding city. Berryville is the ideal location for quiet living with the bonus of proximity to various activities and attractions such as country music shows, golf, Arkansas Razorback games, hunting, fishing, canoeing, hiking and more. Table Rock, Beaver, Bull Shoals and Taneycomo lakes are all 20 to 40 minutes away for camping, fishing and boating. Berryville is also the home of Carroll County Country Club which has a 9-hole golf course. Canoe and float trips are a local favorite area activity. 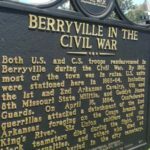 Founded in 1850 and earning its name by means of a famous flip of a coin, Berryville has survived and thrived through wars, economic ups and downs, and its citizens have prospered over the years. 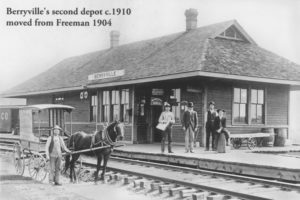 Two early settlers — Arthur Baker and Blackburn Henderson Berry — were at odds about who would get the honor of having the town named after them. So it was decided that they’d flip a coin, and the winner’s last name would adorn the village; “Bakerville” if the first man called it right and “Berryville” if he didn’t. Obviously, he didn’t, and Mr. Berry’s name lives on to this day. 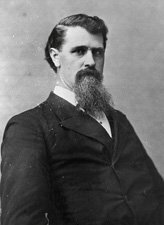 So Berryville was founded by the local settler Blackburn Henderson Berry, and it was Berry’s nephew, James Henderson Berry, who would move on to become Arkansas’s 14th Governor by 1883. 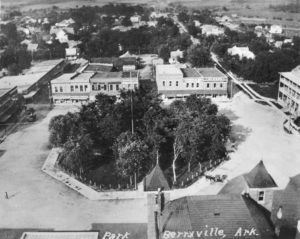 The city of Berryville was incorporated in 1876, a quarter century after its founding. 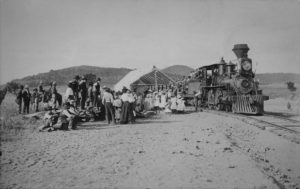 Following the Civil War, Berryville lay in ruins; but settlers began arriving to the community and as the years passed the city was rebuilt. On the city’s historic public downtown square, Berryville’s place in the war between the states is depicted with an official marker noting its darkest hour, when Confederate Soldiers ambushed Union forces near Berryville as they were foraging along the Osage branch of the Kings River, ultimately killing six Union soldiers and six black teamster. 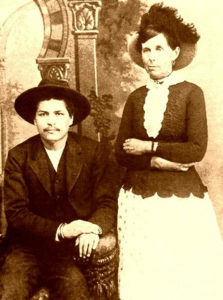 All 12 were buried in the Berryville Memorial Cemetery situated along Bunch Springs Road in Berryville. 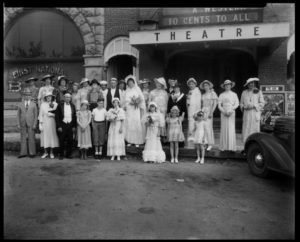 For more details about this event in Berryville’s history, click here. 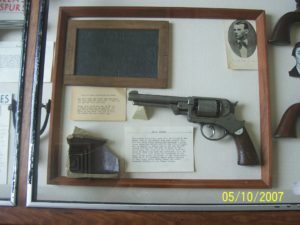 “At the outbreak of the American Civil War, Berry joined the Confederate Army and was commissioned as a Second Lieutenant with the 16th Arkansas Infantry Regiment. Berry lost his right leg during the Second Battle of Corinth in northern Mississippi. After recuperating from his wound he worked as a school teacher and started a private law practice. As the town grew, agriculture took on a major part of the local economy. 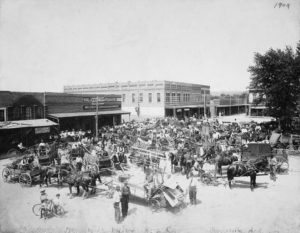 While he rocky soil made farming difficult here, but gradually tomatoes, wheat and dairy industries came to play an important role in the town’s economic development. 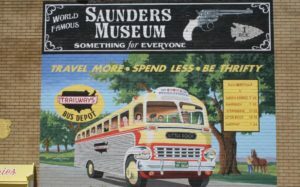 However, it was the poultry industry which ultimately helped boost the town’s fortunes, and by the 1950s is is reputed that Berryville earned the title as the “Turkey Capital of the World.” It’s an industry which has never slowed down. 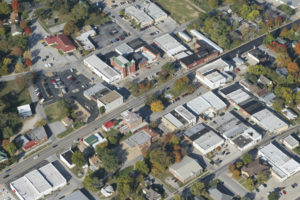 In the city limits is one of the city’s largest employers: Tyson Foods, Inc., which has operated a poultry processing plant and has helped create a wealth of opportunities for growers, hatcheries, employees and managers, not to mention an entire network of support businesses throughout the decades the business has operated in Berryville. 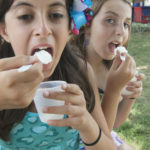 Residents love the small-town atmosphere. The schools are excellent and expanding. Business leaders cooperate on civic projects. 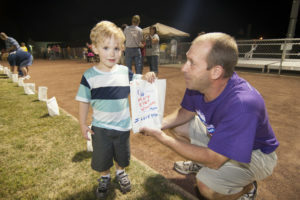 There is a large band of volunteers who support citywide events and non-profit organizations. City leaders have taken a steady approach to guide the town into sustainable growth while protecting the town’s “small-town” look and feel, adding to a city that’s got opportunity to grow and progress, while offering all citizens a safe, quality way of life in the community. The city’s historic city square is a thriving retail and dining destination. 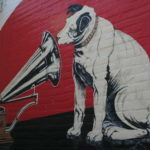 Local volunteers and area artists banded together to restore the vintage advertising signs on sides of downtown buildings, adding an aura of timeless beauty and recapturing a quaint down-home feeling when you’re in the town. The city is served by a large number of financial firms. Jobs are plentiful at a broad range of local businesses. Berryville has proven to be an attractive option for retirees searching for friendly neighborhoods, affordable housing, low crime and low property taxes. Over the past decade improvements have been made to roads and sidewalks throughout the growing town. 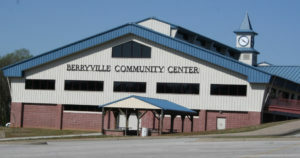 Berryville is site of a world-class community center unrivaled in size and scope for a town its size. It is hub to the communities’ wide-ranging fitness and educational opportunities, and the dozen city parks are maintained from this site. Berryville boasts an innovative trash recycling program and a sustainable community garden. 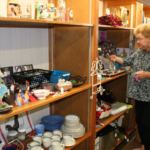 Large corporations such as Tyson Foods, Carroll County Electric Cooperative, Walmart and Kerusso Christian T-shirts and Gifts maintain a major presence in Berryville. Growing manufacturing plants and retail stores provide an extensive list of goods and services. 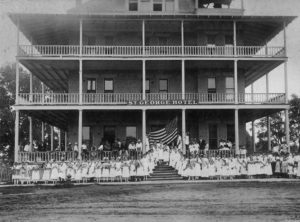 A booming number of dining establishments are available here, serving locals and tourists passing through town alike. 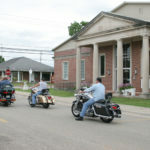 Today, Berryville has become a popular destination for motorcycle tourism in northwest Arkansas, owing to its motorcycle-friendly attitude. 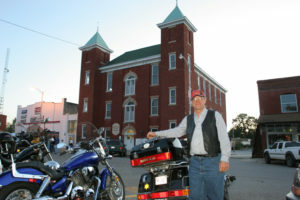 Situated near some of the best motorcycle roads in the Arkansas Ozarks region, a growing number of motorcycle riding groups make plans far in advance of their ride to stop in Berryville for dining and shopping, as well as sightseeing tours around the town and ‘selfies’ taken in front of the restored vintage advertising murals all around the historic downtown public square. 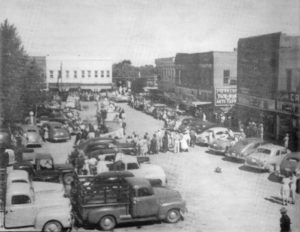 Traffic to the Historic Public Square in Berryville continues to increase year and after year. As of the last census of 2010, there were 5,356 people, 1,963 households, and 1,309 families residing in the city. There were 2,155 housing units at an average density of 353.3 per square mile. The racial makeup of the city was 81.7% White, 0.5% Black or African American, 0.8% Native American, 0.9% Asian, 0.4% Native Hawaiian or Pacific Islander, 13.2% some other race, and 2.6% two or more races. 24.7% of the population were Hispanic or Latino of any race. Within the city of Berryville, 29.0% of the population was under the age of 18, 9.8% ages 18 to 24, 25.5% ages 25 to 44, 21.1% ages 45 to 64, and 14.6% ages 65 years of age or older. The median age of Berryville residents was 33.5 years. For the period 2008–2012, the estimated median annual income for a household in the city was reported to be $30,046, while the median income for a family was $37,717. Male full-time workers had a median income of $28,244 versus $24,074 for females. The per capita income for the city was $16,924. About 14.2% of families and 17.4% of the population were below the poverty line, including 17.5% of those under age 18 and 14.8% of those age 65 or over. 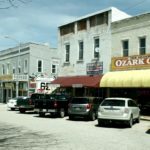 Click here to view scenes in and around Berryville, Arkansas … a city proud of its small-town values…. where history meets progress!